Sources said that SFIO has asked the 17 companies to disclose the source of the funds given to Kingfisher. 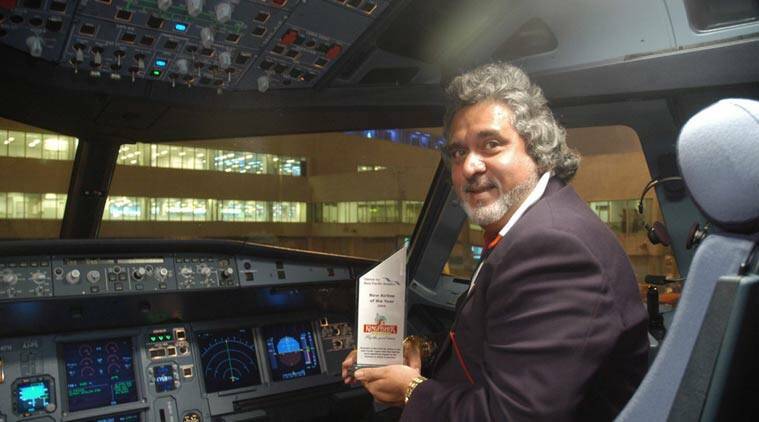 Kingfisher Airlines Chairman Vijay Mallya. IN A new twist to the Kingfisher Airlines loan default case, the Serious Frauds Investigation Office (SFIO) has issued notices to 17 companies that lent money to the now-defunct airline after they themselves borrowed from banks, said sources familiar with the development. “As a result, the exposure of these banks to Kingfisher is expected to go up,” sources told The Indian Express. Kingfisher owes Rs 9,091.4 crore, including interest, to 17 banks as on November 30, 2015, according to a statement made by Arun Jaitley in Parliament on Thursday. Sources said that SFIO has asked the 17 companies to disclose the source of the funds given to Kingfisher. “These companies which are not Non Banking Finance Companies (NBFC) have borrowed money from the banks and lent to Kingfisher Airlines,” sources said. A CBI official confirmed that the amount involved in the alleged fraud by Kingfisher and its promoter may increase. “The matter is under investigation. But the amount involved currently will go up,” said the CBI official. The SFIO probe has allegedly found instances of “corporate misgovernance” at Kingfisher Airlines, said sources. “The SFIO probes 17 firms who took bank loans to fund Kingfisher agency is investigating movement of loan money from one company to another. The final investigation report is likely to be submitted in a month,” said sources. An email sent to the official spokesperson of Mallya did not elicit any response. So far, the SFIO has recorded the statements of over 30 officials in connection with the loan default by Kingfisher. Apart from questioning officials of public sector banks, the agency has also questioned the directors of Kingfisher Airlines and United Breweries (Holdings). “The agency also recorded the statements of independent non-executive directors of United Spirits,” said sources. On Friday, the SFIO recorded the statements of two senior officials of United Breweries (Holdings) in connection with the case. “The agency is all set to question Vijay Mallya by the end of this month for the third time. Mallya has assured that he will be present for questioning,” said official sources. Mallya and his companies have come under the scanner of multiple investigative agencies in the country. The CBI is investigating Kingfisher for defaulting on a Rs 900-crore loan from IDBI Bank. The Enforcement Directorate has registered a case against Mallya for alleged money laundering. Mallya is currently fighting at least 22 cases in various courts related to loan default by Kingfisher Airlines. At least three banks – United Bank of India, State Bank of India and Punjab National Bank — have declared Kingfisher Airlines, United Breweries (Holdings) and Mallya as “wilful defaulters”. Mallya, however, has tweeted that he is not an absconder. “As an Indian MP I fully respect and will comply with the law of the land. Our judicial system is sound and respected. But no trial by media,” Mallya said in a tweet on Friday.